Budding wood flooring and flooring installers, i.e. students from the Theodor-Litt School from Gießen, were given an opportunity to further reinforce their learning just before their professional exams thanks to a STAUF workshop delivered in the middle of April by sales representative Thomas Glasl and application engineer Florian Hees during which they shared insider information on wood flooring standards and subfloor preparation. Apart from providing theoretical knowledge, the workshop also enabled the students to gain practical experience. The theoretical part of the workshop, which was specifically developed by STAUF Klebstoffwerk GmbH from Wilnsdorf, Germany, with a view to supporting new talent, included an examination of how to avoid mistakes and hence subsequent damage to flooring. The advice given to the vocational students by application engineer Florian Hees was that "One of the most important things needed to avoid damage right from the outset is a solid understanding of all of the associated standards and inspection requirements. Working systematically reduces risks – which is also why we highly recommend using only products from a SINGLE manufacturer when installing flooring." The workshop was supported by two of the school's teachers, and the subjects covered were highly relevant to the students' upcoming exams. That is, three of the issues covered during the workshop will also feature in the students' final exam. 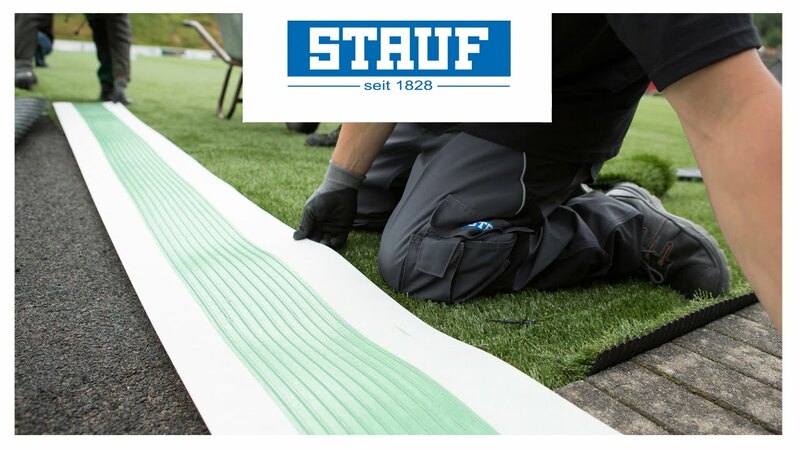 The practical part of the workshop allowed students to gain first-hand experience of using products from STAUF's entire product range – that is, experience in preparing subflooring right up to treating the surfaces of ready installed flooring. This experiential session was specifically set up such as not to include any direct product presentations and to give the students free reign in actively using the products depending on their particular area of interest. A brief swap of roles furthermore allowed the budding installers to make a range of very different experiences - that is, it allowed young flooring installers who had only ever worked with adhesives for floor coverings to experiment with wood flooring adhesives. And, allowed those who had never previously worked with surface treatments to experiment to their heart's content. Despite the little experience (and role swap), the practical results produced by the workshop attendees were very positive, because modern and high-quality products significantly reduce the risks presented during application.